Want another way to brag about how busy you have been exercising? Well there’s an update to the Nike+ FuelBand app will let you add photos of your workouts through the app to share with Facebook friends, with location tags and exercise achievements all attached. 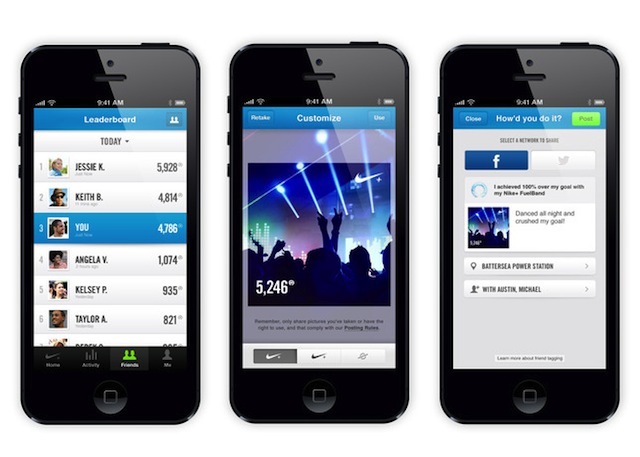 The update also means you can customise your networking photo with your current NikeFuel Score and also introduces new customisable social leaderboards, using the NikeFuel score as a currency with which to challenge your pals latest fitness achievements. And as Android fitness freaks know all too well this is an iOS-only update.